Posted By Alan, 2nd Aug 2018. 3 Minute Read. Bathroom heating - it’s a lifesaver isn’t it? It makes getting out of the bath or shower a pleasure - rather than a challenge you might find as part of some SAS training in the North Pole. 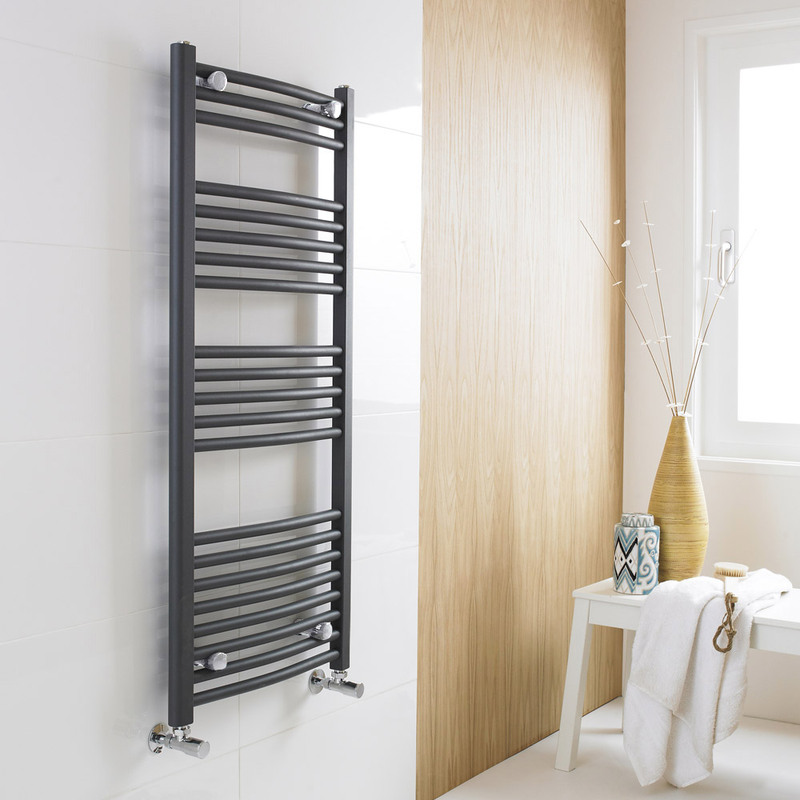 There are lots of types of bathroom heating products out there one of which being radiators. Once again, our WYB (What’s Your Budget) team is on hand to help you easily find the best bathroom radiator on a budget! What’s your budget for a bathroom radiator? Can you buy bathroom radiators for less than £100? WYB finds out! What is a bathroom radiator? 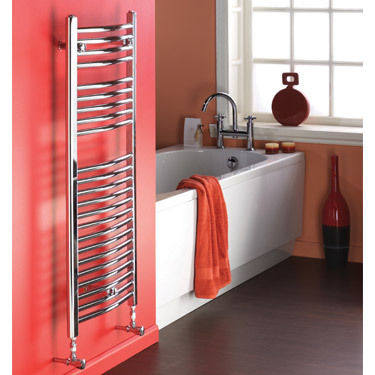 A bathroom radiator is an appliance which is used for heating your bathroom and can be floor standing or wall mounted. Not only does it keep the room warm and comfortable but, probably more importantly, it will dry your bath towel from a previous soak in the tub and also heat it back up for when you next require a big, warm hug from it! In summer, a radiator will rarely see any use as temperatures are much higher, but they still act as great places to hang towels and bathrobes. But, in winter, bathroom radiators come into their own! Firing on all cylinders they provide much appreciated heating and drying facilities however, nowadays, modern heating also looks incredibly stylish! Contemporary radiators vary hugely in cost ranging from £50 - £3000 and upwards. It can feel like options are limited when you have £100 to spend, but if you look around or use this buying guide you’ll find lots radiators that are perfect for your bathroom. Bathroom heating can sometimes appear expensive and difficult to install, especially when you consider that some bathroom radiators come with tv’s built in!, but buying a radiator under £100 is possible and we’re going to show you some fantastic options that’ll add warmth and style to any modern bathroom. Are there bathroom radiators under a £100 budget? The good news is that there’s a wide range of bathroom radiators under £100. To make life easier, and to give you some insights and features to look for, we’ve hand-picked a fine selection of radiators that you can purchase with a £100 budget whether you’re choosing one for your bathroom, cloakroom or en-suite. Not only do they fit in your budget but, they can also be installed with very little fuss too! This large bathroom radiator grants you ample amounts of staorage space for hanging and drying lots of large towels. With a 5 year guarantee you know you’re buying quality but you’re also getting a designer radiator for less than £100! What could you buy with the change? This bathroom radiator doesn’t offer a great deal of change from your £100 budget, but you can wear a free smile on your face knowing you have a stunning radiator in your bathroom! When you’re buying a bathroom radiator on a budget you might find yourself having to sacrifice quality and style but not with this Premier curved ladder towel rail in anthracite. This contemporary curved radiator not only looks stylish but it has a 2500 BTU rating which means it outputs excellent heat and is guaranteed for 5 years which will give you total peace of mind! If you're looking for even hotter then you may want to look for a 5000 BTU radiator instead; but they're usually a little over £100. What could you buy with the change? Why not put the money towards these stylish modern straight radiator valves? Not all bathrooms benefit from large radiators. Smaller bathrooms, cloakrooms and ensuites prefer a smaller radiator like this Cube heated towel rail! 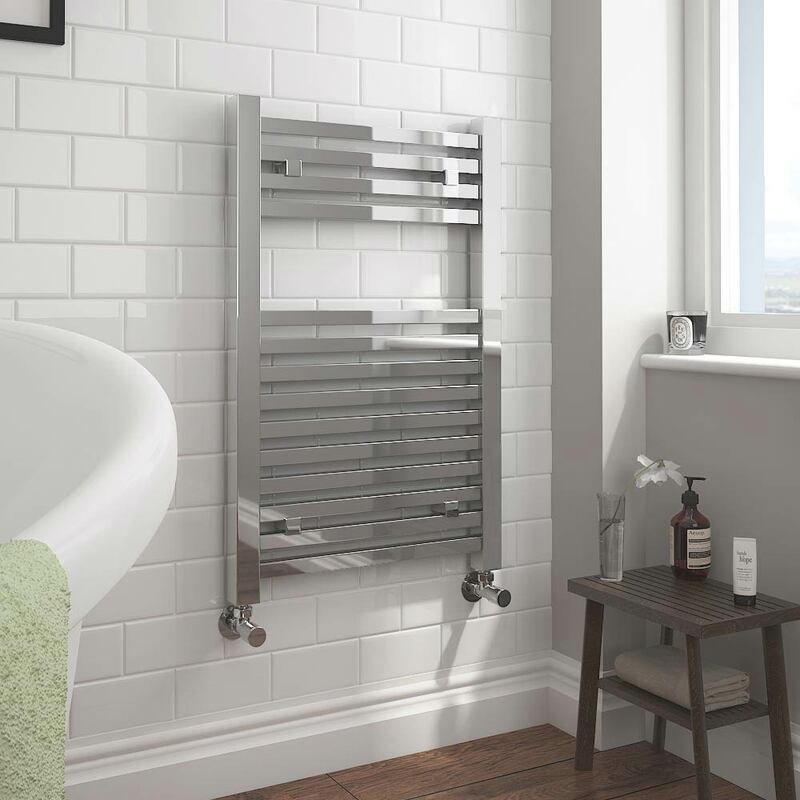 It still has a good heat output but, its stylish chrome design complements smaller spaces beautifully and is great for keeping towels warm and dry. What could you buy with the change? There’s not much left to do with 5 pence although you could compare how shiny your new bathroom radiator is compared to your coin. The coin will never win though! Straight heated towel rails are excellent space savers. These styles are the standard look and won’t look out of place in any contemporary bathroom. 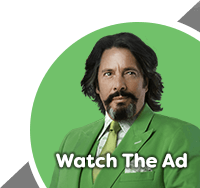 This is excellent value for money and comes in well under budget. But don’t let the price deceive you, this is a quality product and guaranteed for up to 5 years! What could you buy with the change? Why not add more towel space with a Chrome Rail Attachment for Heated Towel Rails Don’t forget your radiator valves too. Depending on what you buy you might have enough left over for both! Although this bathroom radiator comes in a range of sizes, this particular size seems to be the perfect size for a medium-size bathroom. 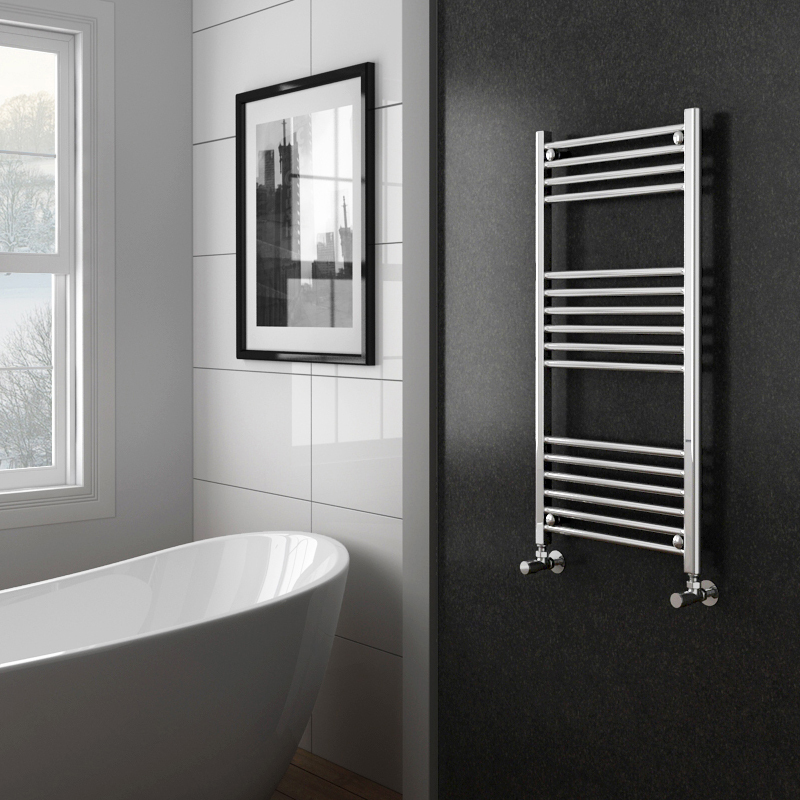 Made by one of the leading bathroom brands Bauhaus, this high quality radiator has a high heat output and is finished in a stylish polished chrome for a real designer look! What could you buy with the change? Okay, okay we’ve run over budget! You would need an extra £1.20 to add this beautiful radiator to your bathroom, but we think it’s totally worth it. Can’t stretch? The good news is there are 2 other sizes available which fall within your budget! What Can A £100 Bathroom Radiator Budget Do For You? As you can see, there are lots of gorgeous radiators that you buy for you bathroom with £100. Whether it’s a straight or curved design, a small or large size or a high heat output or designer radiator there is something for every taste and requirement. One thing to note before purchasing is that most options come without radiator valves, which you will need, so if you do have a strict budget of £100 please make sure you factor this additional cost into it. 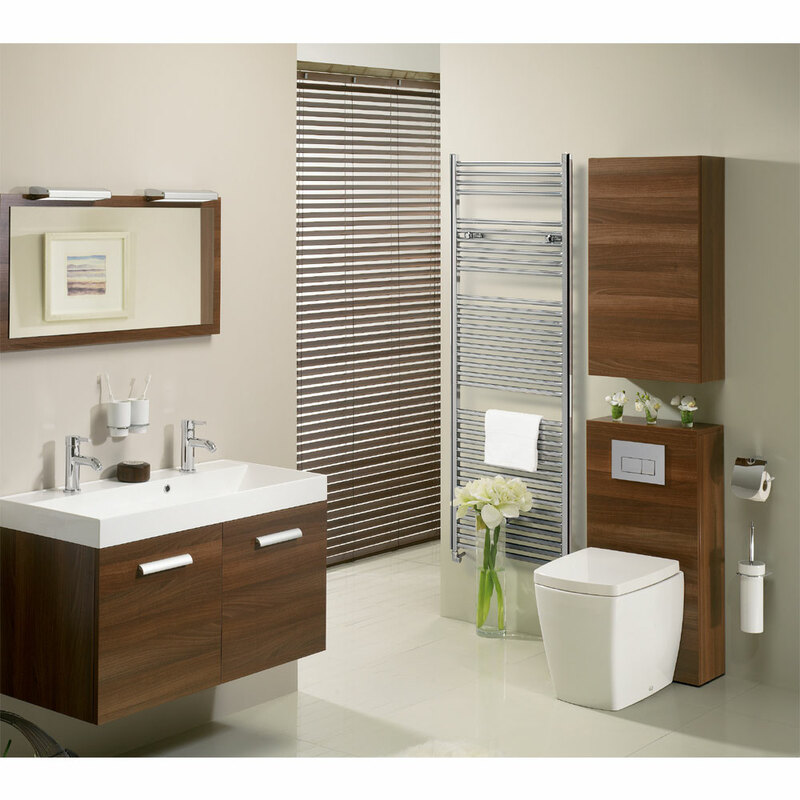 It’ll soon be winter so make sure your bathroom has the comfort and style you deserve. We hope you enjoyed reading this week’s What’s Your Budget feature and found it useful for finding your next budget bathroom radiator. We’d love to hear from you if you have any suggestions or feedback relating to our WYB feature and, as always, share this with your friends or family if you think it will help them with their radiator search!